This album may be a pleasant and interesting gift to friends or relatives or for Holidays. The Album consists of 185 pages on coated paper, 22 x 21.5 cm format, 76 color pages, paper back. The photos are attended by description in Romanian and English. 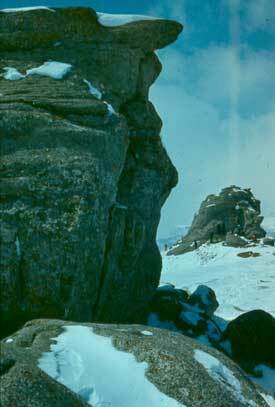 "“The most important mountain in the Northern chain of the Carpathians is Bucegi. This mountain, remarkable for its majestic height and extensive horizon, was highly esteemed once. 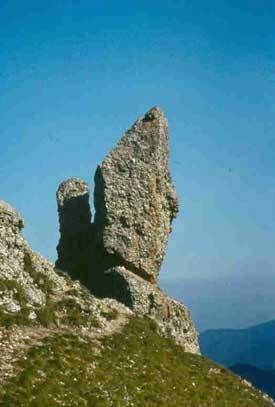 In the prehistoric antiquity of the Pelasgian pastoral tribes, it was proclaimed as a holy mountain”. This excerpt is part of Nicolae Densusianu’s “Prehistoric Dacia”, published in Bucharest in 1913. The book mentions the neolithic civilisation populating our country, the Pelasgians, who are supposed to have built megalithic worship monuments. The chapter extending from page 226 to 238 is entitled “Saturn as Zeus. The Colossal Simulacrum on the Mount Omul in the Carpathians” and it indicates the fact that “the supreme divinity of the Pelasgian region, the god of thunder, lightning and rain, the one shaking the earth, fertilising the plains, the valleys and the mountains was also named Peloros, that is equivalent to The Giant/ The Colossus or the Big Man”; “and this Peloros was considered by the Tessalians as being the Saturn”. The author identifies “the colossal simulacrum / semblance of Saturn” on Mount Omul and prints his image on page 227, representing an aged, white-haired and white-bearded man, with a broad face and energetic mien, emphasizing two “remarkable characteristics” thoroughly supported by details in his bibliographical research. The first peculiarity refers to his “broad expression of face”. The antique literature continuously mentions “the all high, all kind, broad-faced god”, “the broad-faced Pelasgian god living far away” or “Saturn the Broad-faced”. The second “very eloquent peculiarity is connected to the antique symbolism”: “on the calm and intelligent forehead of this god, can be seen natural or artificial signs of a breaking skull”. The famous poet Pindarus has handed down this legend of Vulcan who is said “to have broken Zeus’s skull with a brass axe, so, Minerva came out and saw the light of day”. Densuşianu describes another significant symbol: “close to the right shoulder of the god, we can see in harmonious appearance a very well preserved figure of a huge shield. This shield was One of the main attributes of supreme divinity in times of extraordinary acts of bravery: “the aegis or the shield bearer”. The symbol of that shield “was of extreme value to the Pelasgians, because it represented the symbol of their existence and of their political independence”. 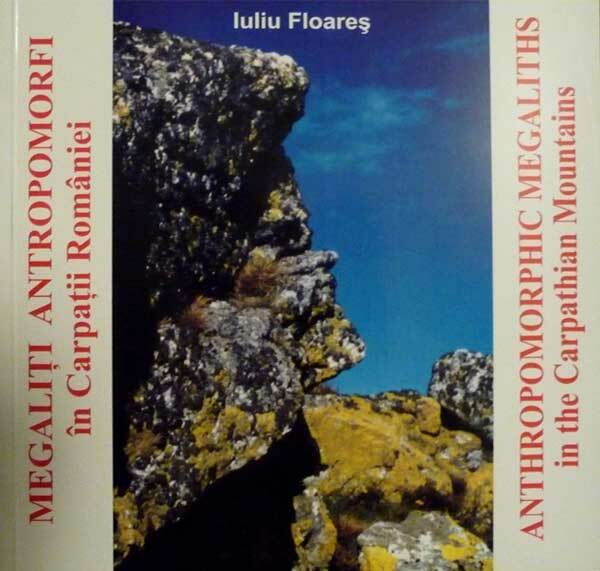 The next chapter (p.238-242) N. Densuşianu underlines the astounding resemblance between the Carpathian megalith and Jupiter’s marble bust discovered at Otricoli in Italy and preserved in the circular hall of Vatican. Densuşianu observes that “this bust does not represent a typical Latin - Italian figure, but a noble, ethnical, Northern Barbarian figure, characteristic of the Dacians whose face features could be identified on old spotted coins”. He further argues that the oldest Roman simulacrum of Joe was called Jupiter Lapis, that is, Jupiter of Stone, assuming that this cult was brought to the Italian Peninsula by a branch of the migrating Neolithic population from the Carpathian region. After many years of climbing the mountains, I started to consider more seriously the megaliths and particularly the anthropomorphic megaliths (due to my medical profession). 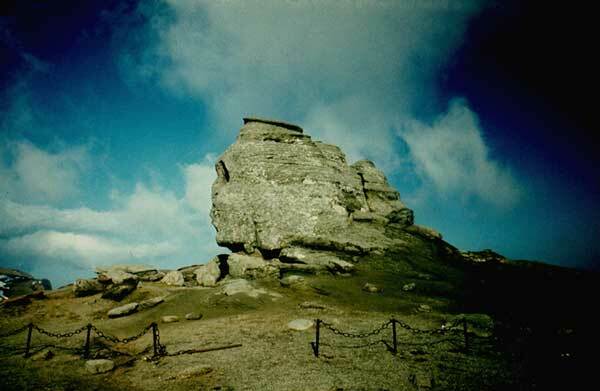 I searched for reference materials and, so, the long-forgotten Nicolae Densuşianu guided me straight to the target: I had often passed by “Zeus’s simulacrum” from the Bucegi Mountains, but I had never identified it before. Now that I had all the necessary information, I ascended to the Bucegi Plateau, I stopped in the saddle (Şaua Văii Cerbului - The Deer Valley Saddle) between the “Cerdac” (Porch) and the Peak Omu and there it was! 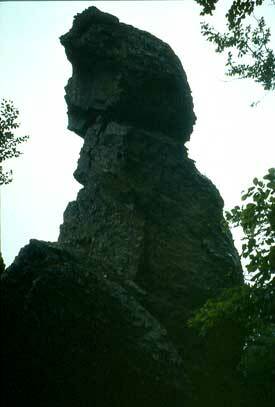 A huge rock with the steep stony side, rising to the East, to Valea Cerbului (Deer Valley). It is formed of white limestone surrounding a darker conglomerate (pudding stone). On the surface of this core of conglomerate, we can barely distinguish the eyes, the vague form of a nose and an ear; the chalky stone around stands for the white hair and beard. It is easier to identify the broad, strong face and even the scar on the forehead. The limestone pillar next to the right shoulder could be taken for the above-mentioned shield. This is indeed an anthropomorphic megalith, wrecked by the same external agents which contributed to its shaping. The mythology presented by Nicolae Densuşianu’s paper might have adopted it. Or maybe the megalith itself was subject to worship rituals that spread over a larger geographical area (this paper was delivered at a symposium on “Science and Human Aspirations”, organised by the “Cosmos 2000 – Society” at the Students Centre from Iaşi, May, 18 to 20th 1984). Reading “The Curiosites” named column of a magazine, I became interested for “the Sphinx of Oas”, but also warned me that it could be observed well in the late autumn and in the winter, when the trees lose their foliage. I went there twice: in November, and then in April. They didn’t seem to me a mere “conglomerate of stones scraped and ground away by wind and rain” and “deposited there along the centuries”. Something made me anxious. Something there was missing. After few years, in the summer of 1984, I tried again. I simply had to find that “something “that was missing in my previous research. I don’t know if it was only by a strange coincidence that I went to the bookshop in Negreşti-Oaş and I found the last copy (fallen under a huge shelf) of “Tara Oasului” (The Oas Region) - a collection of photos taken by Ionita G. Andron (Editura Dacia, 1977). The preface was signed by the reputed critic Eugen Simion who presented it as “a book of photographic icons” (the book of “faces”). You have to be an artist to take such photographs, but there must be that “something” else, too. It was the first time in my life that I couldn’t help looking for the author and ask for an autograph. We immediately became friends. The next day, I climbed the Gutâi Mountains, I searched, I watched closely, I had to tear two bushes and there it was: the THINKER*. Information concerning the access routes can be found in the monographic study “Gutâi” in the collection “Our Mountains”, Editura Sport - Turism, Bucharest, 1990. The anthropomorphic megalith represented in figure 1 is known under the name of “The Man with Peaked Cap” and the one in the figure 2 bears the nickname of “Spanul” = “ The Lackbeard”. It is in fact one and the same monolith seen from different angles. We can admire it if we looking to the east, on the slope from behind the Sphinx of Bucegi. 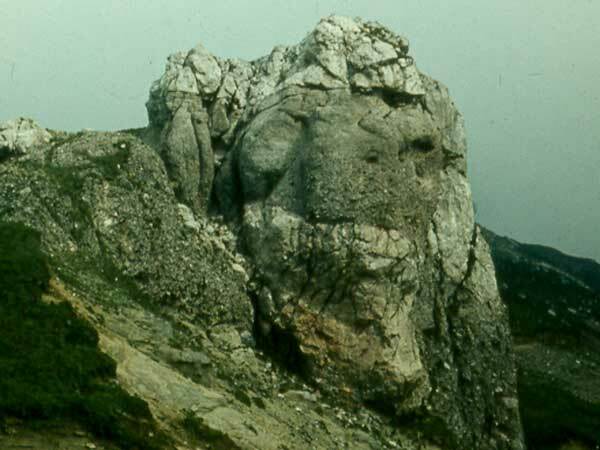 Though many of the stones in our country bear the name of “sphinx”, the Sphinx from Bucegi is the first and the best-known of all, a symbol of the Romanian mountain attractions. The oldest photograph of the Sphinx date back to the first decade of the 20th century; it was spread under the form of a postcard in which only the front part of the rock could be seen, without any anthropomorphic features. The name given to it was “Babe din Caraiman” = “The Old Women from Caraiman”. 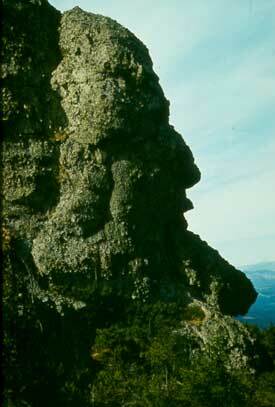 The first mention of the name “Sphinx” appears in “Buletin Alpin” = “The Mountain Almanac” published in 1935. In 1936, Prof. Al. Bădăluţă described it in the “Romania” magazine and called it “The Romanian Sphinx”. In the introductory part of this article, there is a listing of the problems raised by this megalith, one of them being the fact that it has two profiles. In fact, it is worth mentioning that there was identified even a third profile (south), show on a postcard by the Human Biology Museum of Ploieşti. 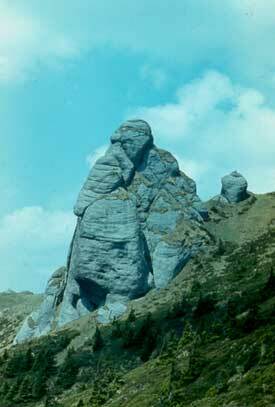 It was not only the rope railway which contributed to turning the Babele Plateau into one of the most frequently visited regions of the Carpathians, but also the terrific landscape and the variety of the microforms of relief; I daresay it might have been the pilgrimage tradition, too. 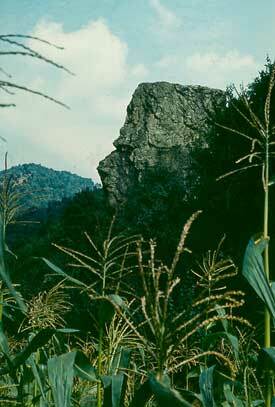 This is the official name of this monolith, enlisted as a tourist attraction within the territory of the Toplet village, in the Caras-Severin county. Other names given to it are “Sfinxul de pe Valea Cemei” = “The Sphinx from the Cerna Valley (as it lies on the left bank of the Cerna river) or “Capul Turcului” = “The Turk’s Head (the exact location being a place called “Podul Turcilor”= the Turks” bridge). This place has its own story: after the peace treaty signed at Belgrade, in 1739, the Turks built a bridge, under French guidance, at the new borders (Paul Decei - “Pe plaiuri si vai carpatine”, Editura Albatros, Bucuresti, 1983). 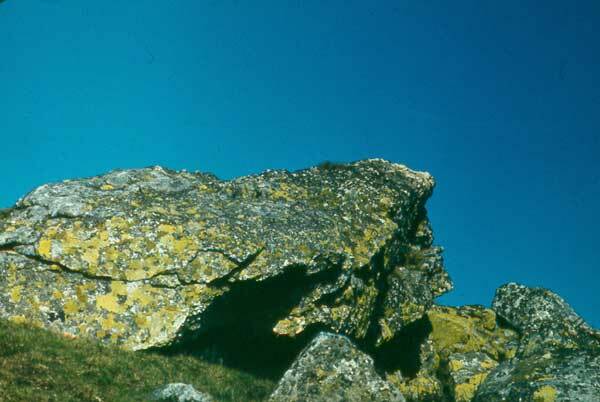 Somebody is supposed to have thought of shaping this stone, but there are no written records of it and the researchers don’t confirm this hypothesis. Taking into account the numerous legends from Banat, having as hero a certain Iovan Iorgovan (alias Hercules), we feel inclined to trust Nicolae Densusianu who presents it as “an inanimate shape of Hercules, not carved by human hand” or “the idol of the power of Hercules”. (“Dacia preistorica” – Ed. Meridiane, 1986, Bucuresti, p. 308-314).